For over 3 decades, Saffron Investigations has served individuals and business throughout the Palm Beach Gardens area. As a full service private investigator, we handle everything from marital investigations and asset location to background checks and fraud investigations. Not only do our detectives have extensive experience with all types of private investigation services, but we conduct each investigation in accordance with the law and with the utmost confidentiality and discretion. In fact, our professionalism and expertise has earned us the trust and confidence of corporations, law firms and high profile individuals in Palm Beach Gardens and throughout South Florida. If you need confirmation of your suspicions or solid evidence to present in court, Saffron Investigations is the only name you need to know. Our private detectives will work with you to establish your objectives and create a strategy that meets your goals. You can depend on our investigators to quickly and efficiently handle cases of all sizes and scopes, providing you with the information you need and the peace of mind you deserve. We understand the sensitive and private nature of personal investigations. As you prepare to select a private detective to handle your case, there are several factors you should consider. It is important to choose a private investigator who has extensive experience handling your particular type of investigation, and one that has connections in the Palm Beach Gardens area. As an established, local agency, Saffron Investigations has handled cases in and around the Palm Beach Gardens community for over 30 years. From PGA National Resort & Spa to The Gardens Mall, we have in-depth knowledge of Palm Beach Gardens and the surrounding areas. This enables our team of private investigators to handle cases quickly and discreetly, following up on leads and gathering evidence throughout Palm Beach Gardens. So, whether you need a fraud investigator to conduct surveillance at Palm Beach Gardens Medical Center or to follow up on a missing person lead at the Promenade Shopping Center, you can be confident in our ability to handle all of your Palm Beach Gardens investigators needs quickly and professionally. From PGA Boulevard to Northlake Boulevard, Beeline Highway to Old Dixie Highway, Saffron Investigations offers the professional Palm Beach Gardens private detective services you need with the confidentiality you desire. Whether it’s a thorough background check or you suspect your spouse of infidelity, we’ll craft a comprehensive investigation, pursuing all leads and collecting any evidence. 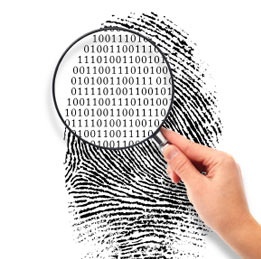 We are also computer forensics specialists, and our fraud investigators are experts in their field. Your suspicions may be founded, but it takes an experienced investigator to collect all the facts. Furthermore, if you want to construct a case that holds up in court, you need documented evidence that is obtained legally. At Saffron Investigations, we have the experience, resources and technology to provide successful results for your case. Contact us today, and let our outstanding team of private investigators help you conduct your Palm Beach Gardens investigation and build your case. It is our pleasure to assist you.